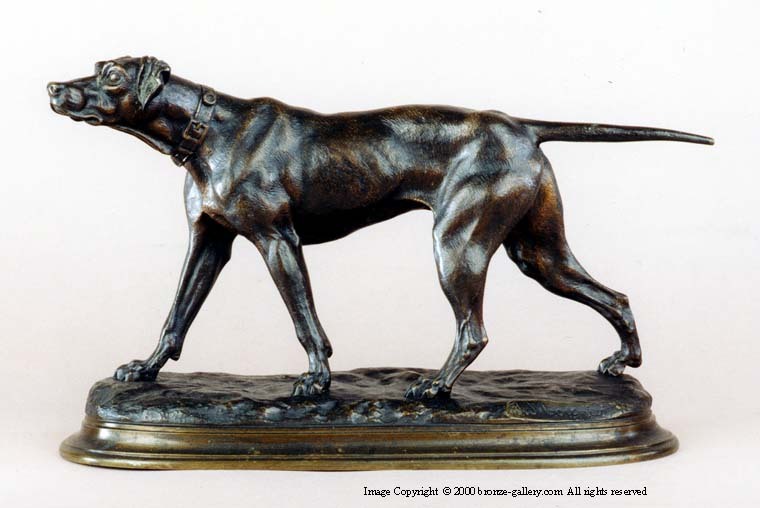 Moigniez was an expert at capturing working dogs. The Walking Pointer is a pendant to the Walking Setter, they face each other and make a handsome pair for a library or dining room. 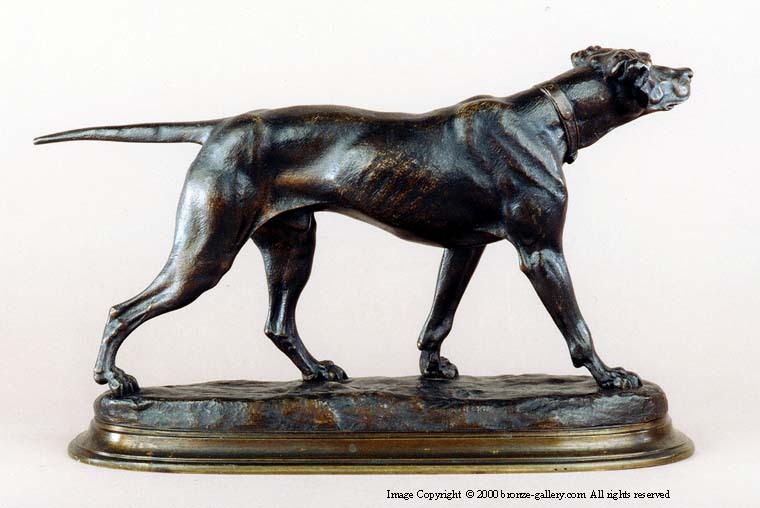 This large sculpture of a Pointer is finely detailed and finished in the rich multicolor brown and copper patina that is unique to the bronzes cast by Moigniez and his father in his own foundry.